In an era of such great national divisiveness, there could be no more timely biography of one of our greatest presidents than one that focuses on his unparalleled political ability as a uniter and consensus maker. Robert Dallek's Franklin D. Roosevelt: A Political Life takes a fresh look at the many compelling questions that have attracted all his biographers: how did a man who came from so privileged a background become the greatest presidential champion of the country's needy? How did someone who never won recognition for his intellect foster revolutionary changes in the country's economic and social institutions? How did Roosevelt work such a profound change in the country's foreign relations? For FDR, politics was a far more interesting and fulfilling pursuit than the management of family fortunes or the indulgence of personal pleasure, and by the time he became president, he had commanded the love and affection of millions of people. 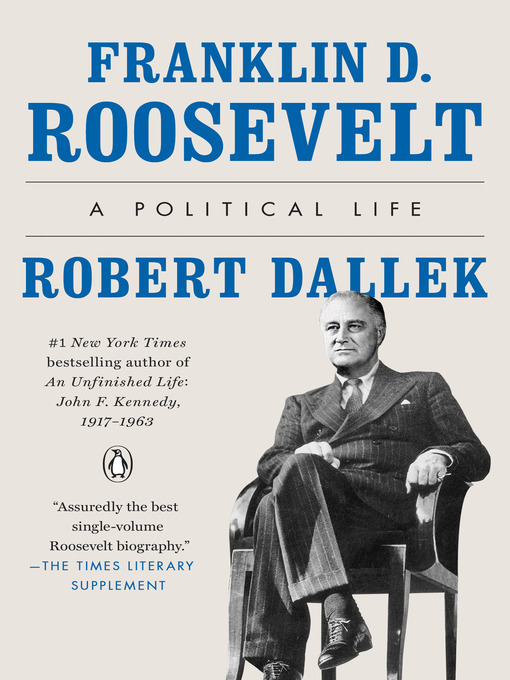 While all Roosevelt's biographers agree that the onset of polio at the age of thirty-nine endowed him with a much greater sense of humanity, Dallek sees the affliction as an insufficient explanation for his transformation into a masterful politician who would win an unprecedented four presidential terms, initiate landmark reforms that changed the American industrial system, and transform an isolationist country into an international superpower. Dallek attributes FDR's success to two remarkable political insights. First, unlike any other president, he understood that effectiveness in the American political system depended on building a national consensus and commanding stable long-term popular support. Second, he made the presidency the central, most influential institution in modern America's political system. In addressing the country's international and domestic problems, Roosevelt recognized the vital importance of remaining closely attentive to the full range of public sentiment around policy-making decisions—perhaps FDR's most enduring lesson in effective leadership.